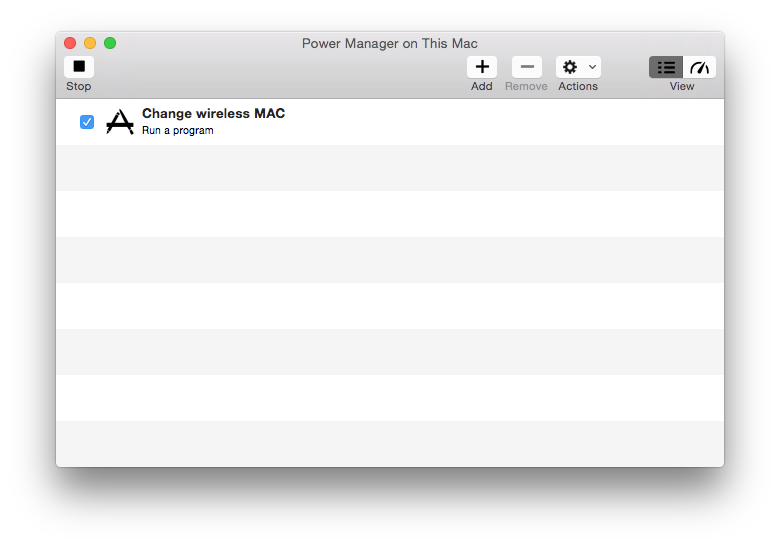 When your Mac connects to a wireless network, your Mac is identified by its MAC address. This address allows hotels and other wireless hotspot providers to identify and track your Mac. 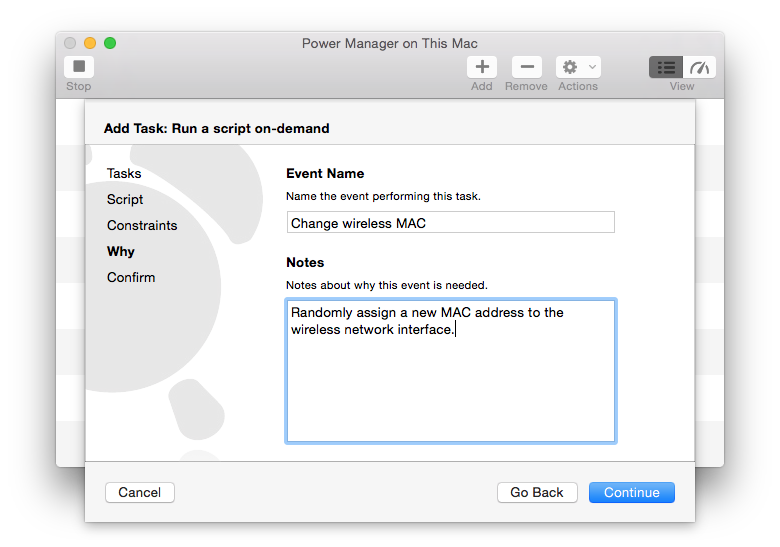 If your Mac's wireless MAC address changes, the hotspot provider will likely consider your Mac to be a new previously unseen device. Being able to do this is good for security and likely useful where Internet access is time limited per device. This technique is often called spoofing your MAC address. 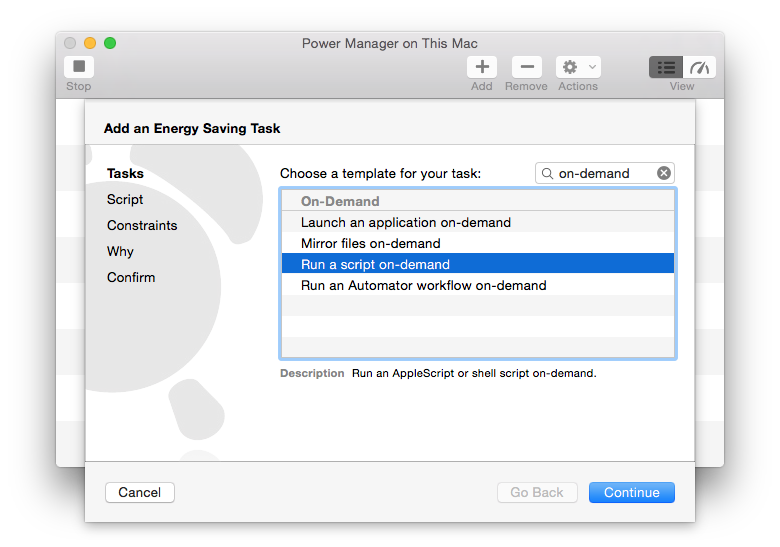 In this recipe, we will create an on-demand Power Manager event to randomly assign a new MAC address to your Mac. 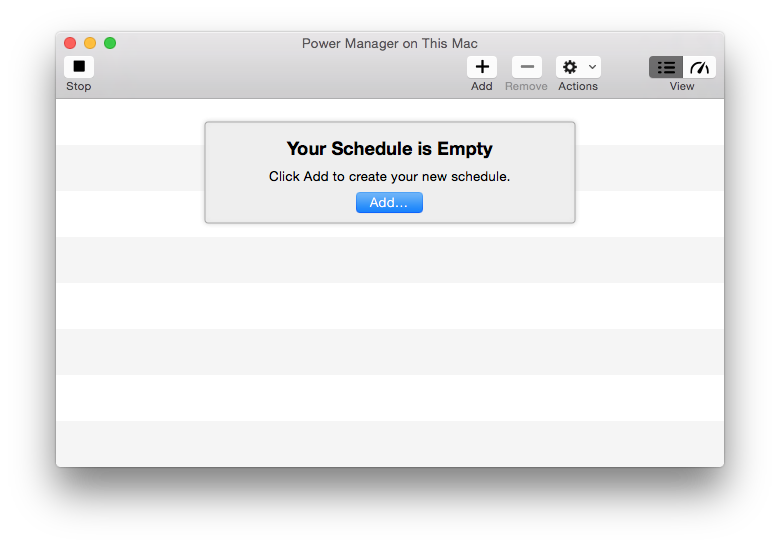 This change is temporary and reset when your Mac is next restarted. Select Add… to create a new event. 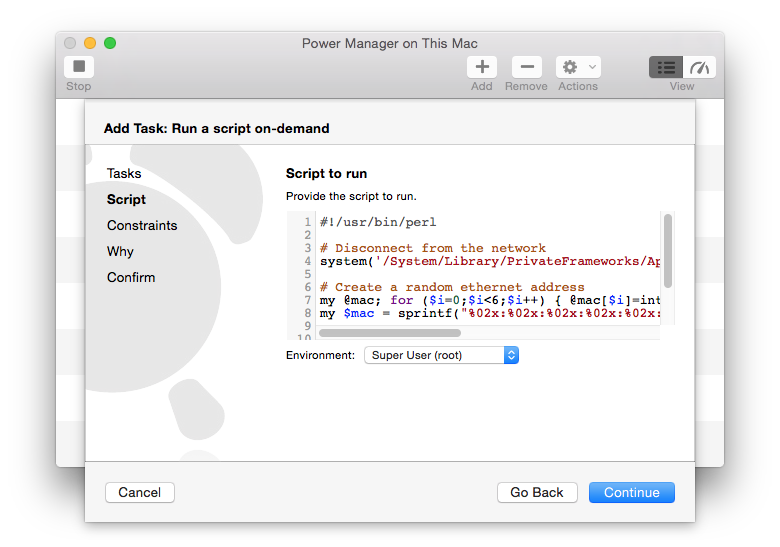 Choose the Run a script on-demand task. Continue to the Script step. Select Super User (root) in the Environment: pop-up. Continue through the Constraints step. Continue to Why and name your new event. Continue to Confirm and Add your new event. The new on-demand event is available immediately. 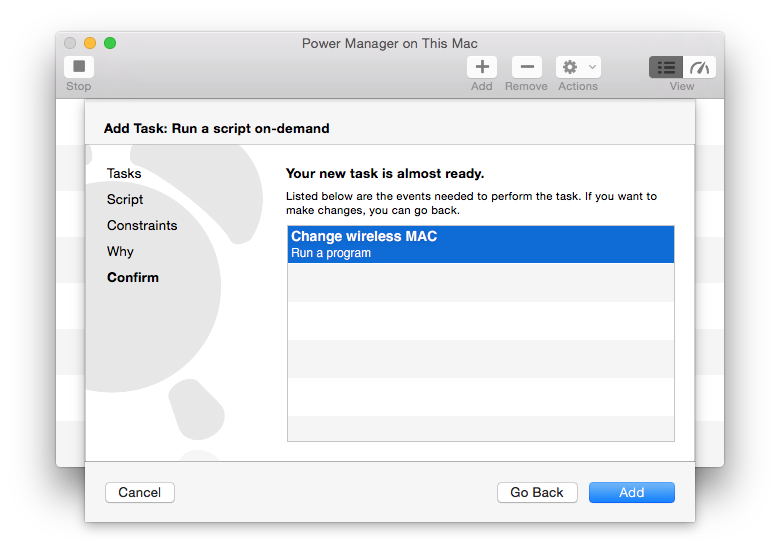 You can trigger the event through the Power Manager status menu, or through the Power Manager application. This article was posted in PM4, Power Manager, and Recipe and tagged perl, on-demand, and spoof.